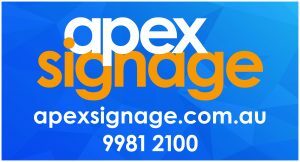 Apex Signage is your local signage company servicing the Northern Beaches and surrounds. Our difference is a more personalised touch to your project. We will meet at your work place and discuss all options and give the right advice based on the budget for you. From conceptualisation of the design to the delivery and installation, trust Apex Signage to create a brand for your company that exceeds expectations.